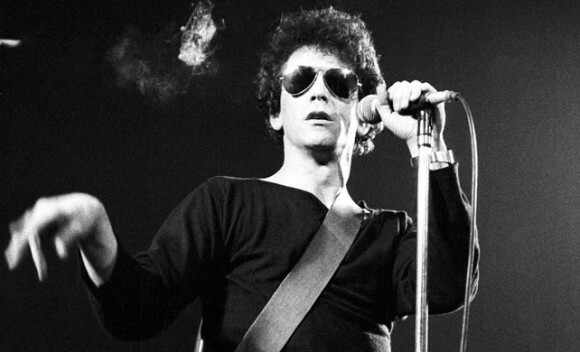 Lou Reed, pioneering lyricist of societal observations and chaotic feedback, has died this morning at age 71 of a liver-related ailment. Reed had previously been recovering from a liver transplant this past May which, by all accounts, had gone well. As he expressed in a statement post-op: “I am a triumph of modern medicine, physics and chemistry. I am bigger and stronger than ever. My Chen Taiji and health regimen has served me well all of these years, thanks to Master Ren Guang-yi. I look forward to being on stage performing, and writing more songs to connect with your hearts and spirits and the universe well into the future.” The specifics of his death remain unclear at the moment, but the music and art communities have been concerted in their sorrow over his passing. Reed was born in Brooklyn in 1942 and raised in Long Island where he was deeply influenced by the free jazz, rhythm and blues, and doo wop music styles of the time. During his teen years he was subjected to electroconvulsive therapy, intended to “cure” his bisexuality, an ordeal which showed up in many of the themes of his later work. In 1964 he graduated from Syracuse University after studying journalism, film directing, and creative writing, and moved to New York City where he found work writing songs for Pickwick Records. It was at Pickwick that Reed met close friend and collaborator John Cale, with whom he would form the Velvet Underground. Cale and Reed’s initial projects remained obscure until 1965 when they were taken under Andy Warhol’s wing, who served as manager and integrated the group into his multimedia Exploding Plastic Inevitable, whose recurring shows introduced the VU to a wider audience. Their new new name was borrowed from the book The Velvet Underground which detailed sexual practices in the US that were at the time considered aberrant (such as homosexuality and paraphilia); this was done in an attempt to shift prevailing notions as to what was considered “healthy” or “normal”. Along with Warhol’s guidance came his insistence on the inclusion of singer Nico, with whom the group recorded their 1967 debut The Velvet Underground & Nico (they were a little bitter in the naming but the results were stupendous). Bookmarking his Velvet Underground career with 1970’s Loaded, Reed quit and worked for some time as a typist before recording his first solo album Lou Reed in 1971. This more pop-oriented album mainly consisted of unreleased Velvet tunes recorded with musicians from the prog group Yes and had lukewarm success both critically and financially. It was next year’s Transformer, produced by David Bowie and Rick Ronson, that made Reed’s mark as a solo artist with the increased production value and exposure provided by Bowie (the two would later have a falling out not resolved until 1997 when they reconciled). Reed followed Transformer with the concept album Berlin, some live records, Sally Can’t Dance, and the infamously flippant feedback discord of Metal Machine Music. He continued to release solo material throughout his career, to varying degrees of success, but the monolithic legacy of Transformer eclipses the vast majority, a longtime source of bitterness for Reed. Reconciliation between Reed and John Cale in 1987 resulted in the biographical Strella which was a tribute to their mutual friend and mentor Andy Warhol. They upped the ante in 1990 with a full reunion of the Velvet Underground for a benefit concert in France and then a tour of Europe in 1993. This activity was sadly cut short after another feud between Cale and Reed. Recent collaborations with Metallica, on the joint project Lulu, and the Gorillaz, providing vocals on Plastic Beach, nicely supplemented his uninterrupted solo activity. The only hint at Reed’s failing health was last March when he canceled an appearance at Coachella, later explained by news of a life-saving liver transplant. We’re all left reeling by the passing of one of the most singularly influential and iconic song-writers of the century, but there’s some comfort in the longevity of those portions of himself that remain in his art and the art of those that he touched. His beauty endures.